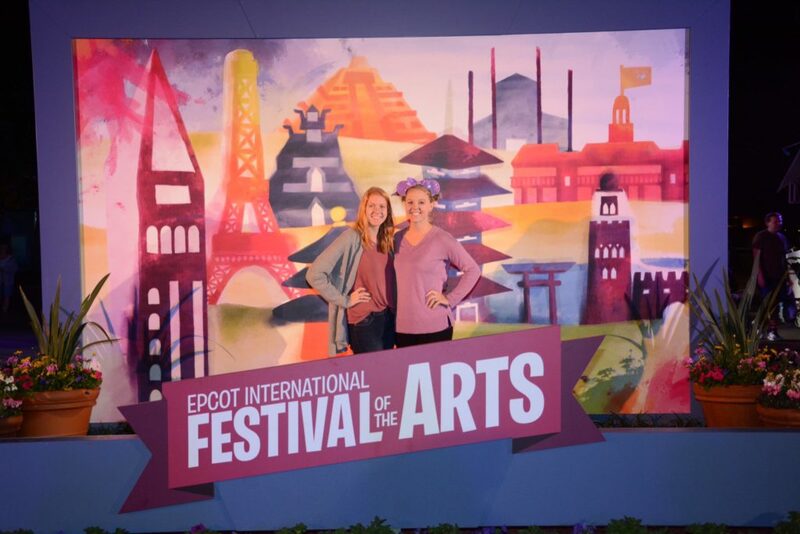 We love festivals at Epcot! There is always something new to do that’s fun for the whole family. 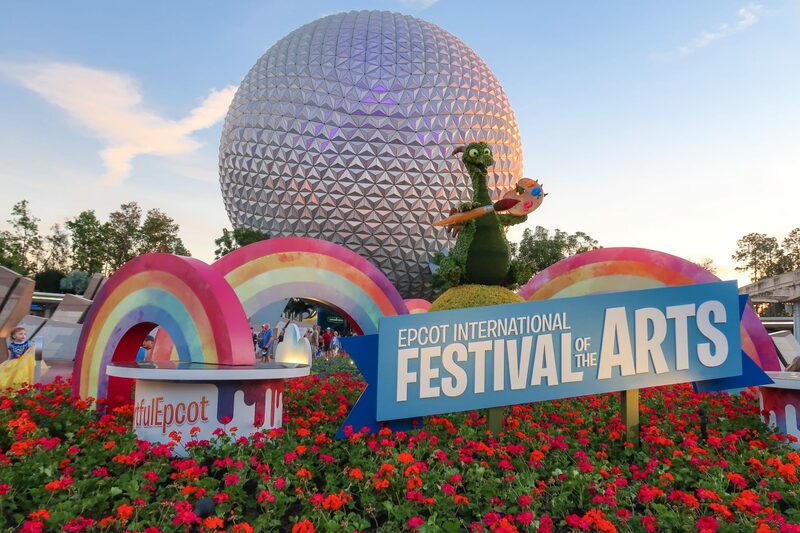 This year’s Epcot International Arts Festival is no exception. 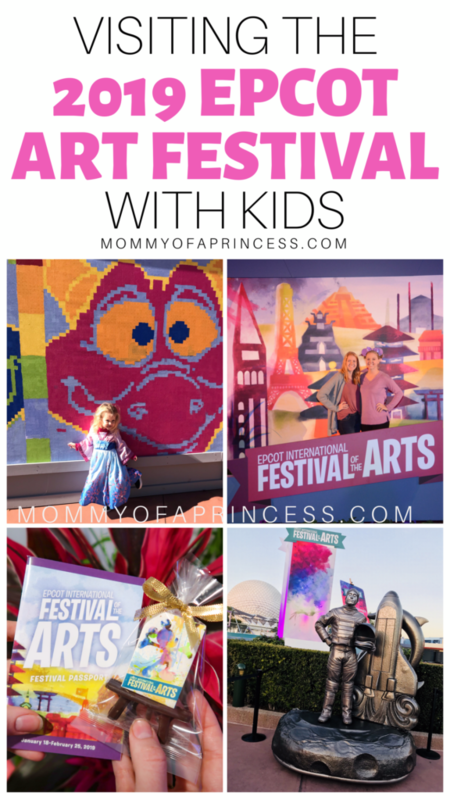 With lots of yummy food, fun photo ops and activities, here are my tips for visiting Epcot Art Festival with kids. There are SO many delicious food options at this year’s Art Festival. 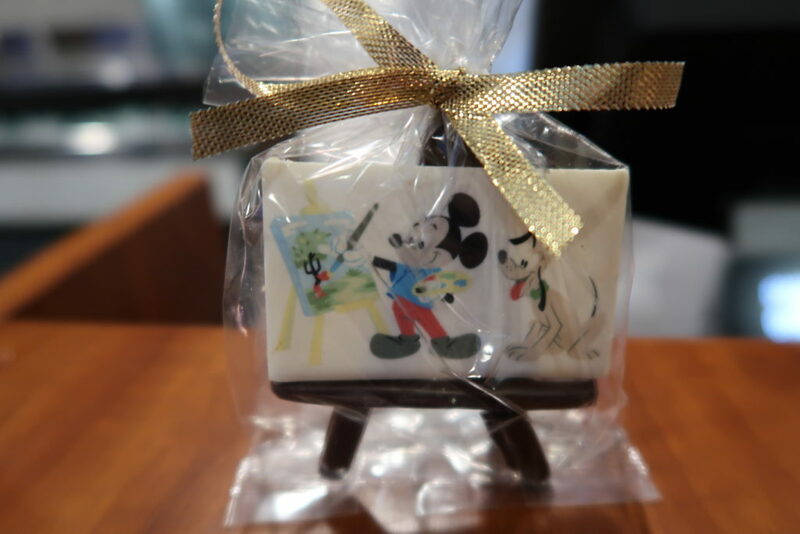 Check out the Festival Showcase for the chocolate painted easel, a true piece of art you can eat. 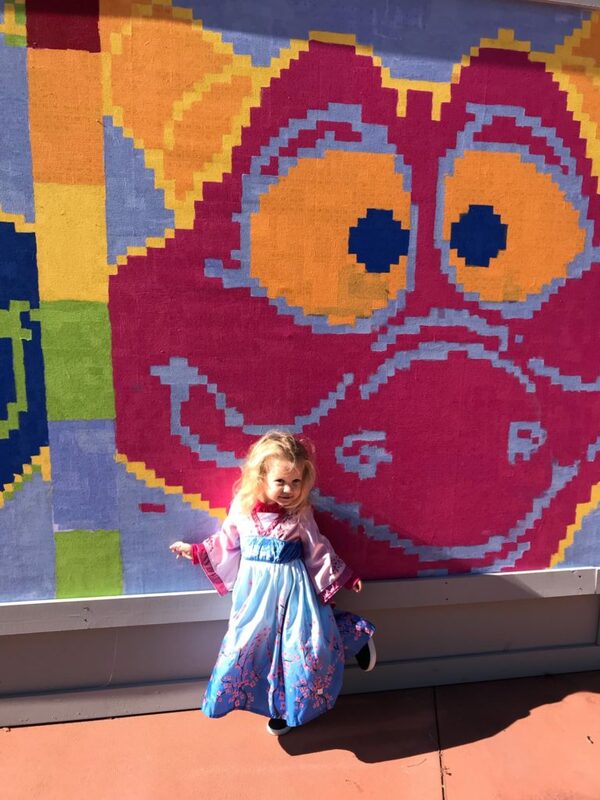 We also loved the Figment puzzle painting plate. 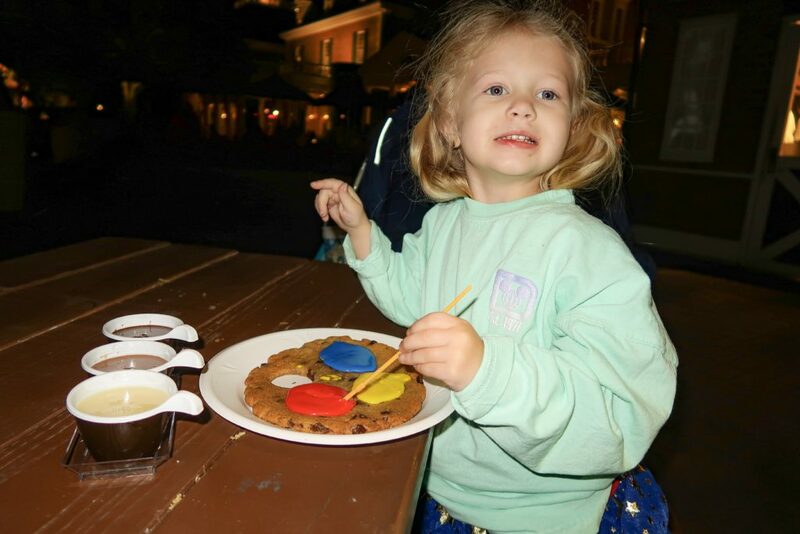 In America, in the World Showcase, you can find a triple chocolate sample flight and a painting chocolate chip cookie. This was my 3-yr-olds favorite! 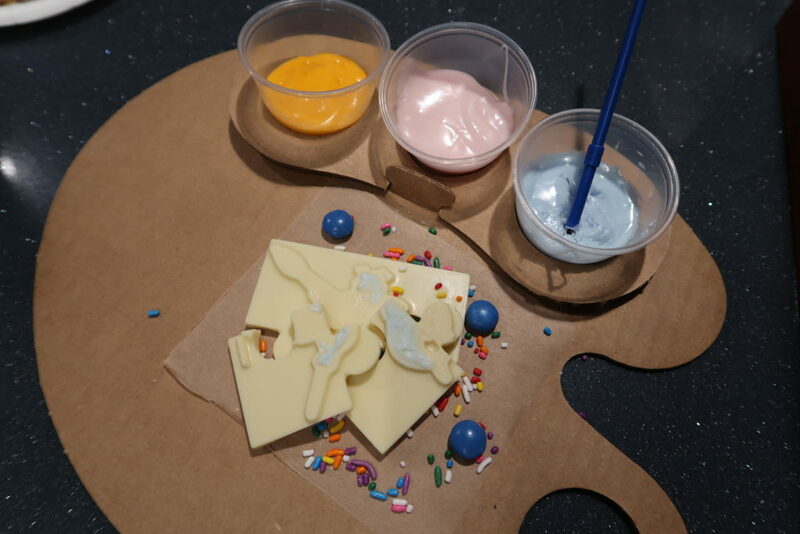 She painted with the icing before enjoying the delicious treat. 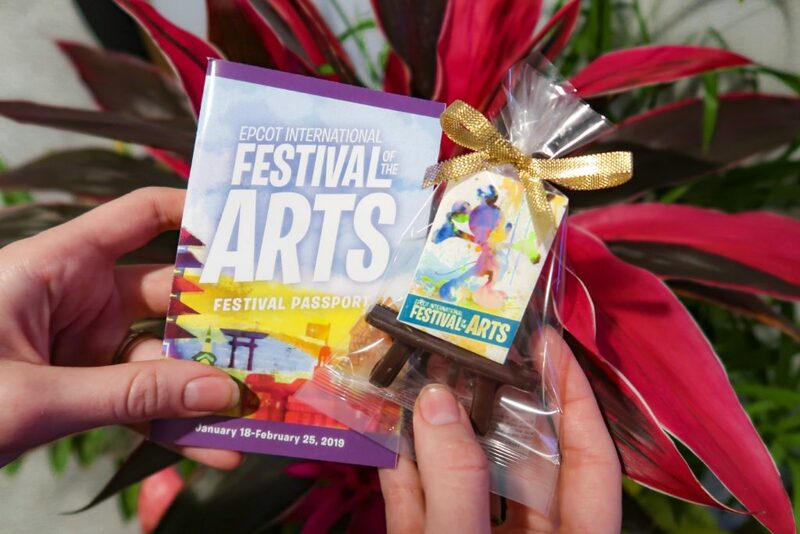 You can be part of the celebration by getting hands on and painting part of the Figment mural. 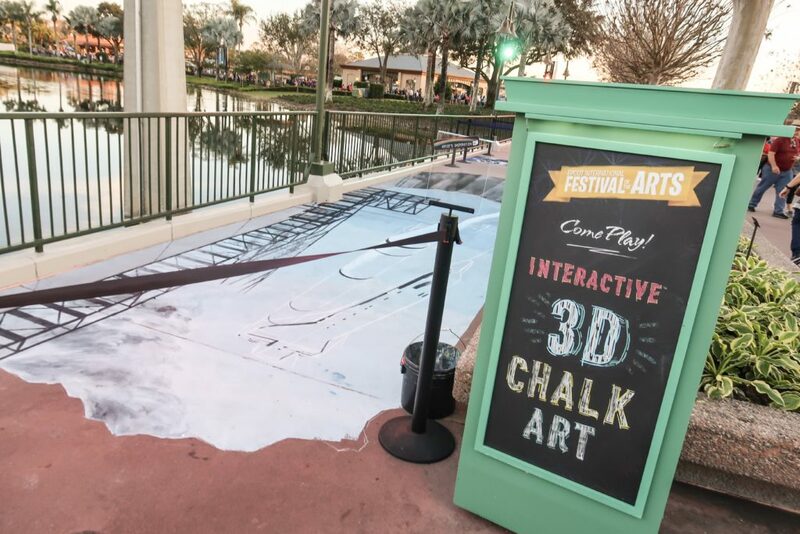 Stop by the wall (just past the entrance to the World Showcase) between 10-6pm and you can paint a square. Together, the squares make up an awesome mural! This is so much fun for kids especially. There are so many pieces of art to view and purchase at this festival. My kids loved the 2D Sidewalks Chalk Art. 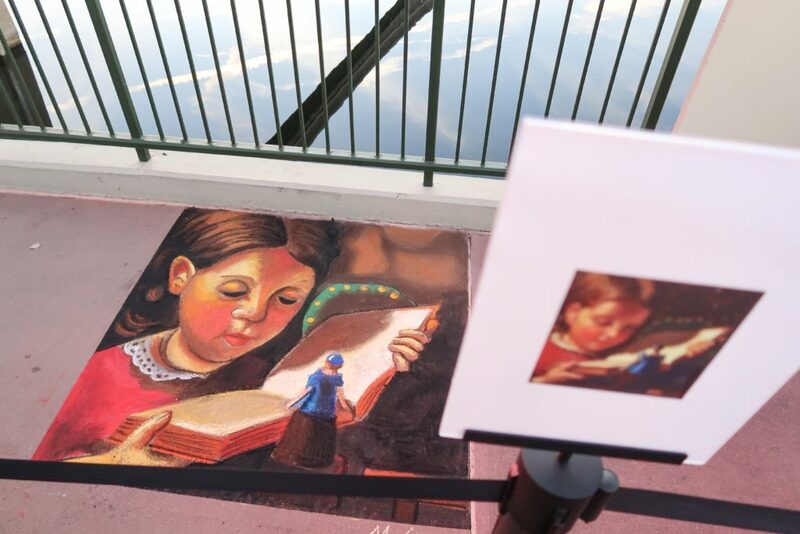 Artists are adding to this exhibit daily so be sure to cross the World Showcase bridge entrance to see them. 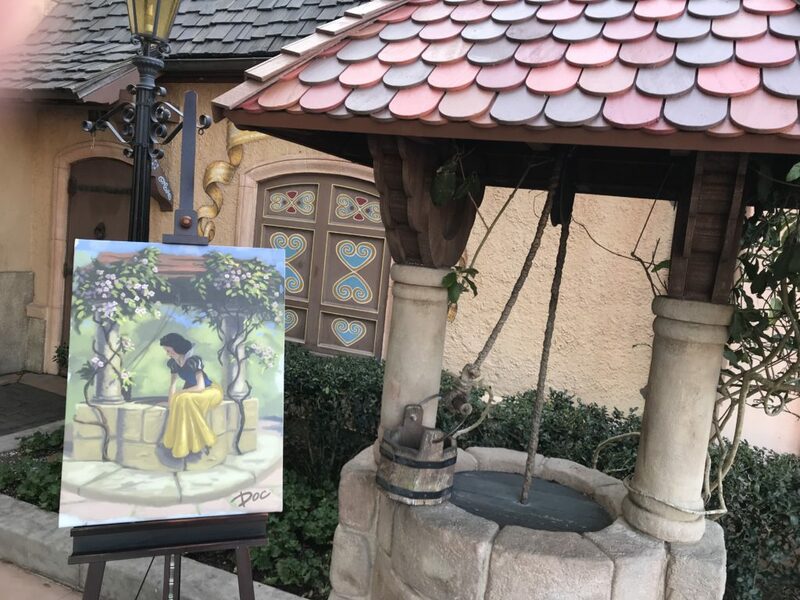 They also have Disney themed art at each Character Meet and Greet area! 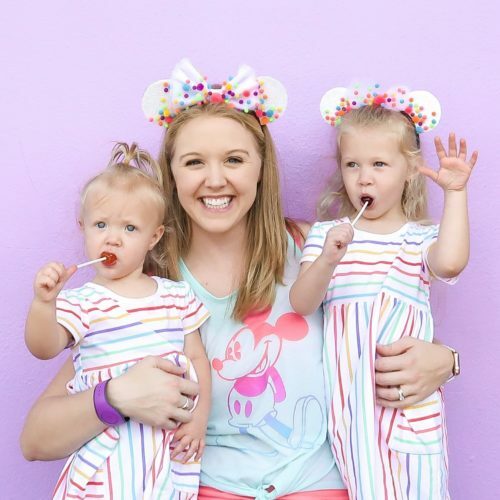 Be sure to check those out if your kids love characters. These stunning metallic sculptures feature live performers who really bring it to life. They have quite the sense of humor. 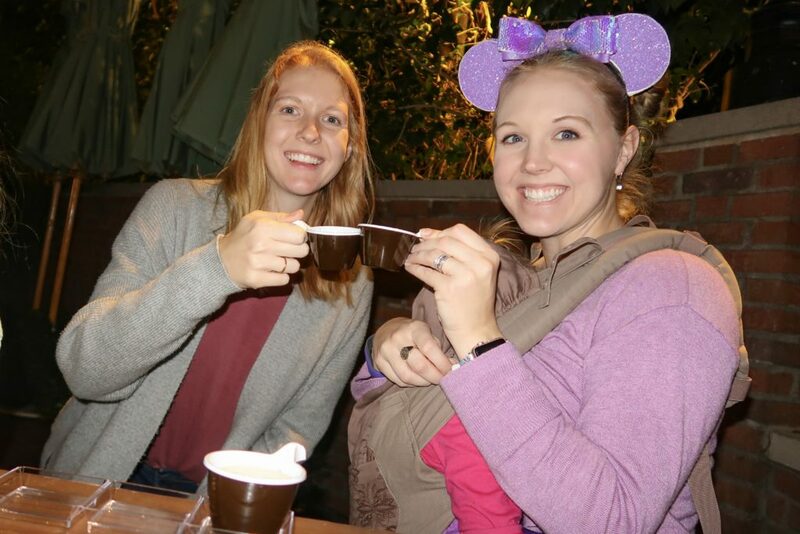 We loved watching them interact with other guests as they took pictures. 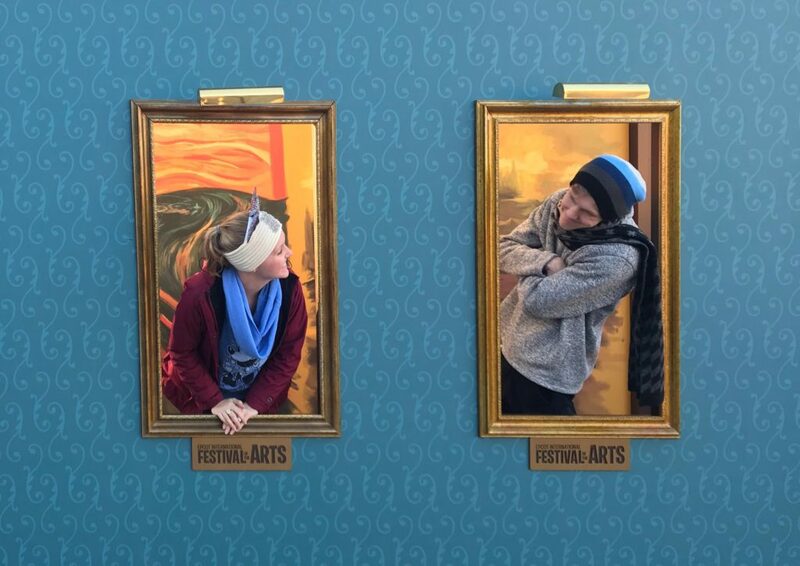 There are so many fun photo ops that put you into famous historical paintings. Be sure to take a few photos before the sun goes down for the best lighting. 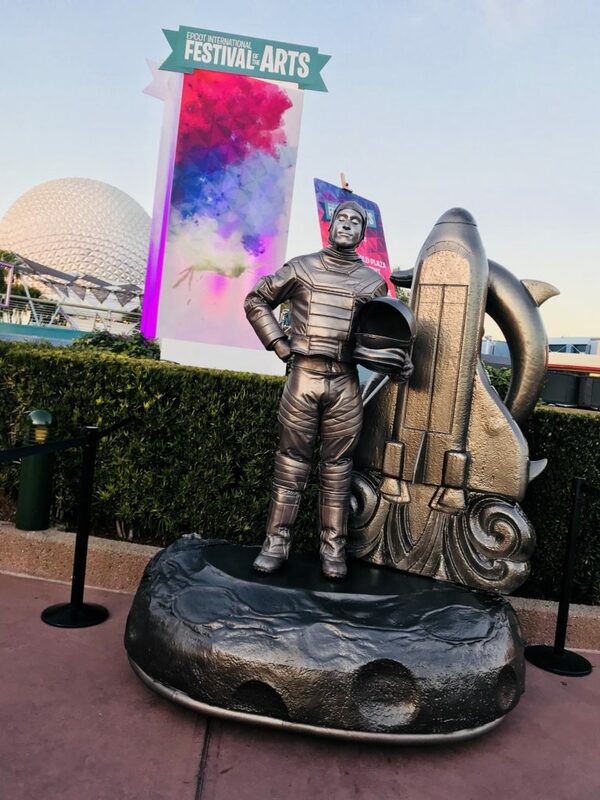 Disney has started doing scavenger hunts with every festival. This is one of my daughter’s favorite games to play at Epcot and always comes with a prize at the end. 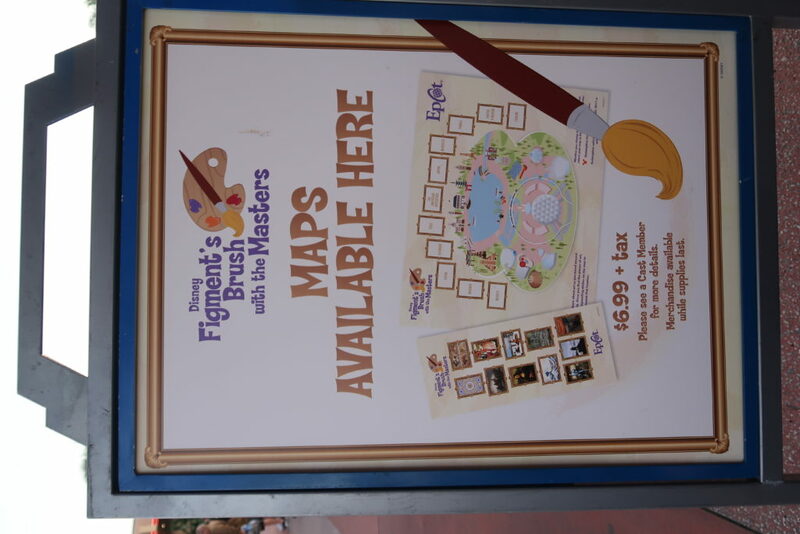 Look for these signs to purchase your map. If you want to save time, claim your prize before starting so you don’t have to wait in line for it when you finish.